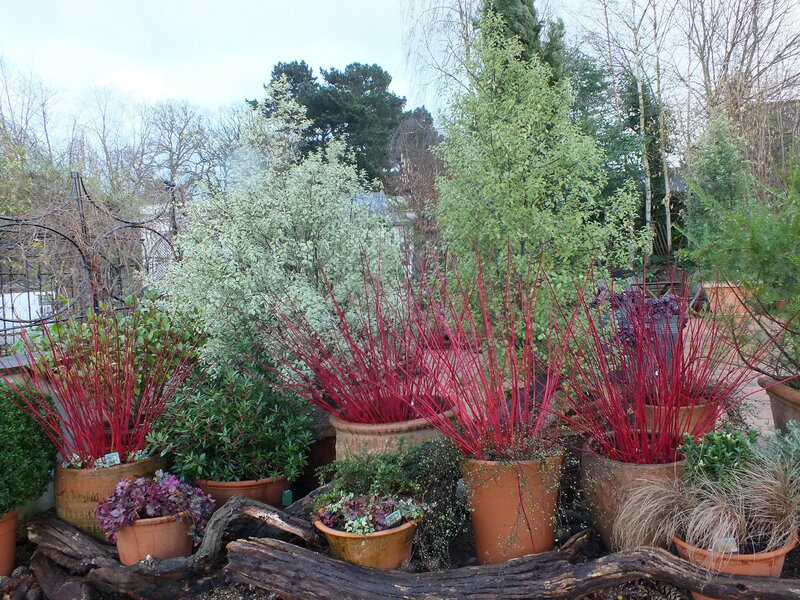 I saw these pots at Wisley earlier in the week and very effective they are too! 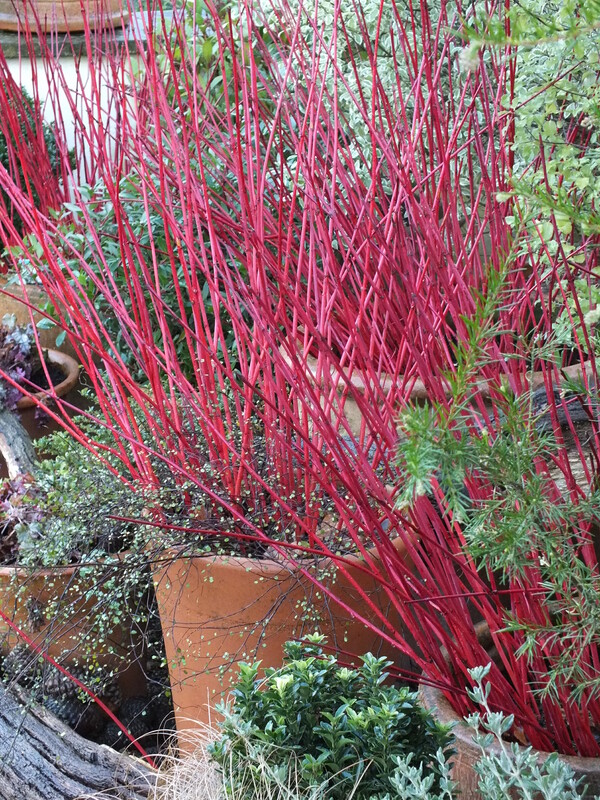 Cut ‘canes’ have been inserted into planted containers – I can see muehlenbeckia in one, though the choice is endless. Left to their own devices, these stems will very likely root but that isn’t really the idea. Equally this might be something you could build into a border display, bringing in some temporary ‘architecture’ at the end of the main season. 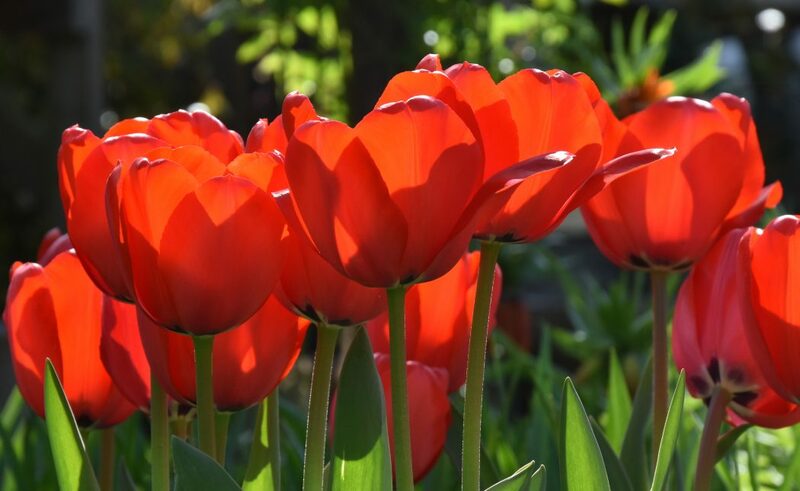 Swirling curves of bright red stems…. Also at Wisley, their excellently planted car park is showcasing some rather excellent combinations. Dogwoods are often used in utility planting, since they are relatively undemanding, provide year-round interest and can be cut back quite ruthlessly every two or three years without complaining. 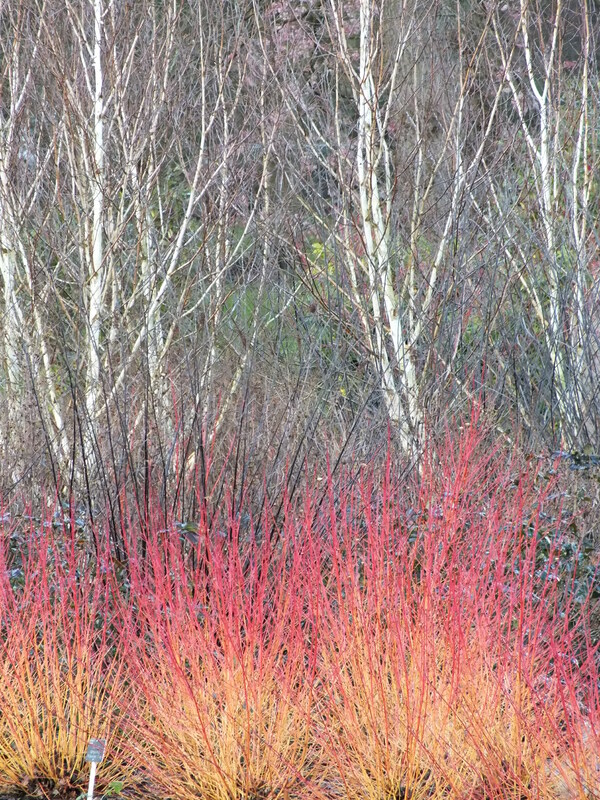 This is Cornus sanguinea Midwinter Fire, where the branching stems start golden, run through corals and orange to flame red. Caught in late afternoon sun, they light up. Contrasted with the bone-white stems of the Silver Birch, which do a good job of catching the low light too, this is one car park with class!